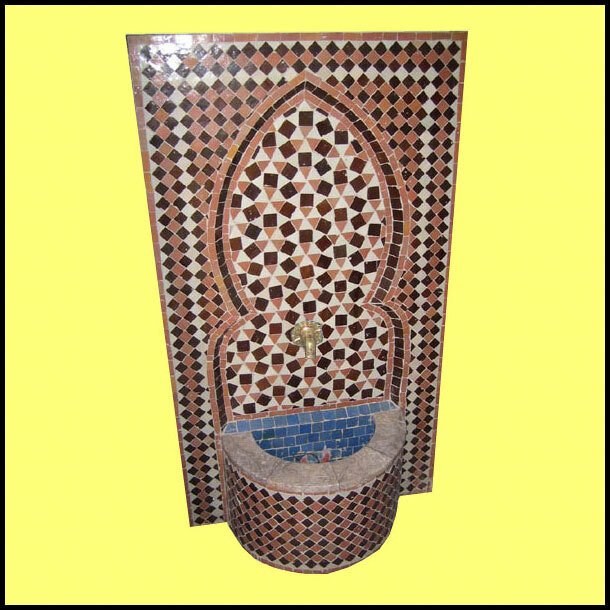 Tall brown and burgundy glazed mosaic fountain made in Morocco. Approximately 56â€ high and 25â€ wide, and comes with a marble basin border, a copper spout, and a raised middle arch for a much more exquisite look. Simply amazing. More pictures are available upon request. We do ship everywhere, so please call or email us your zip code for a shipping quote.